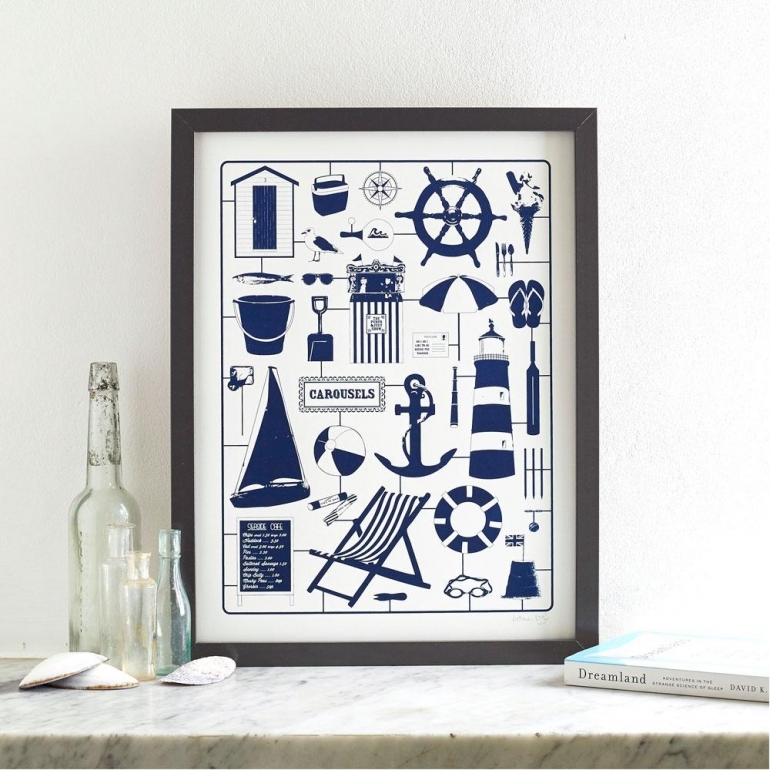 This lovely handmade print is just the ticket to remind yourself of the lovely (sometimes) seaside holidays you had back home in Britain - if only it had a rain cloud on it! 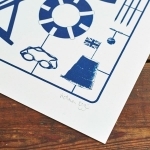 This print measures 30cm x 40cm, so just a little shy of 12" x 16", and is even printed on thick backing card made in Somerset. A truly lovely and original piece! 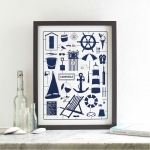 PLEASE NOTE: The frame is NOT included.